While many engineers dream of owning racks of gear and endless plugins, the reality is, we often only need to start with a few pieces of equipment and some free plugins. Lucky for us, there are all sorts of free plugins that can help improve a mix. Here’s a list of some free plugins that can help improve your mix. One great way to improve your mix is to give it vibe. There are many plugins that attempt to create a vintage tone or vibe through emulation of vintage gear. Some of these emulations can cost hundreds of dollars, but then Shattered Glass Audio came along. 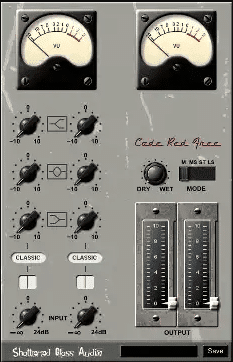 The Code Red Free plugin is an emulation of the REDD consoles that graced the studios at Abbey Road back in the 1960s. 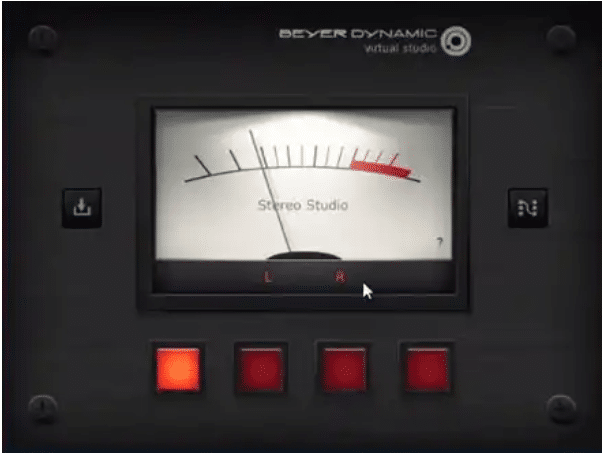 This plugin is a recreation of the preamp and EQ that helped make these consoles famous. Featuring high and low shelf bands and a peak mid band, the onboard EQ can help shape your track’s tone and improve your mix. Since the plugin also gives the sound of the REDD preamp, these two pieces combined can give you all of the 60’s tone you need for you track(s). To drive the preamp harder, you can use the input knob to increase the level and get some tasteful clipping. The plugin also has a convenient wet/dry blend knob to help you dial in the perfect amount of coloration for your mix’s vibe. Every engineer needs a good compressor. These indispensable tools are great for individual tracks as well as bus compression for drums, or even the mix as a whole. Many free options exist, but one of the best belongs to Tokyo Dawn Records. The Kotelnikov markets itself as a mastering compressor and maintains great audio quality throughout its signal path. Featuring 64 bit processing and precise modes, the Kotelnikov keeps a clean, transparent sound that is responsive and accurate for any mix. This plugin features a built in side-chain high pass filter that can help reduce pumping due to low end content in a mix. This can be adjusted to fit your needs, or turned off entirely. The stereo sensitivity feature is also useful for fine tuning what the compressor is responding to in your mix. This also makes for greater ease when looking avoid over compression. Outside of standard threshold and ratio controls, the Kotelnikov is equipped to react based on peak or RMS levels of your mix, as well as a combination of the two. Control over how sensitive each setting is makes compression sound natural while maximizing its effectiveness. Finally, the compressor also offers the ability to blend in your dry signal if further fine tuning is required. This feature-laden plugin is a great choice for those looking to have a versatile compressor that is ready to handle anything you can throw at it. There are many uses for reverb in mixing. Often times, recording spaces require that we close mic instruments and recreate the sound of the room during the mixing stage. The TAL-Reverb gives you the ability to create these spaces. Version 2 features an EQ section to help shape the tone of your space. Rather than a simple high, mid, low set of knobs, the TAL-Reverb 2 has the ability to choose which frequencies you alter per band. This control can help correct or accentuate tones in the reverb and make your track sound natural. The version 2 also gives you control over the size of the room, pre-delay, and stereo width. Dry and wet faders allow for the final blend of the effect. 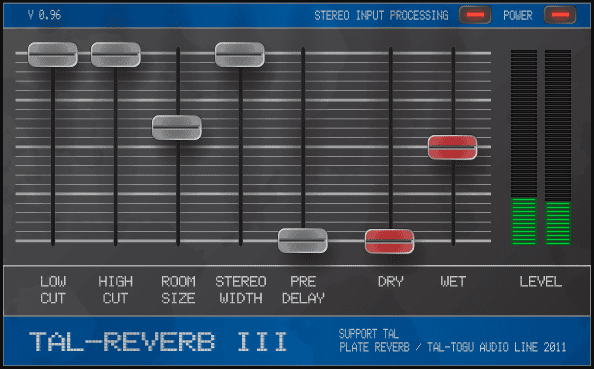 Version 3 dubs itself a plate reverb and simplifies some of the controls of version 2. Rather than offer precise frequency control for EQ, version 3 gives a simple high and low cut fader to help tweak your space. Room size, pre-delay, and stereo width are still here from version 2, as well as the dry and wet faders. The TAL-Reverb series provides lots of options for the low price of nothing. Whether you’re looking for simple ambiance, plate reverb, or room sounds, this plugin can improve your mix and give it the natural sound you are looking for. Sometimes, engineers need a second opinion to really get their mix right. For those starting out, or looking for a very accurate read of what it happening in their mix, a spectrum analyzer can be a priceless tool. The Voxengo SPAN is a great, free choice that provides you with many features to analyze your mix. The graphical interface displays your mix from 20hz to 20kHz and can be made sharper for detailed analysis or smoother for a more general look at your mix. Outside of the core function of spectrum analysis, SPAN also offers features such as mid/side analysis, RMS level metering, K-system metering, and correlation metering. All of these features in a free plugin can provide valuable information and make it easier to make informed decisions about your mix. (Just don’t forget to use your ears). 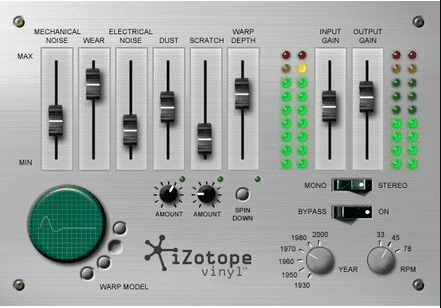 This plugin from iZotope provides a way to have the vintage sound of vinyl for free. We all know the sound of an old vinyl. The crackle, pop, and the slight warp of the vinyl medium are classic sounds we have lost in the digital recording environment. This plugin creates a cool effect that can go from slight analog flavor to the sound of an old, worn out vinyl. iZotope allows for control over many elements of the age of the vinyl. You can select the age of the vinyl, ranging from 1950 to 2000 and fine tune it with the various faders. These faders control mechanical noise, electrical noise, wear, dust, scratches, and warp depth. You could try using this effect on specific instruments to give them the aged effect they need, or you could apply this to your entire mix when you are looking for a vintage vibe. EQ is one of the most important types of processing an engineer can apply. We often grab EQ’s before we grab anything else. 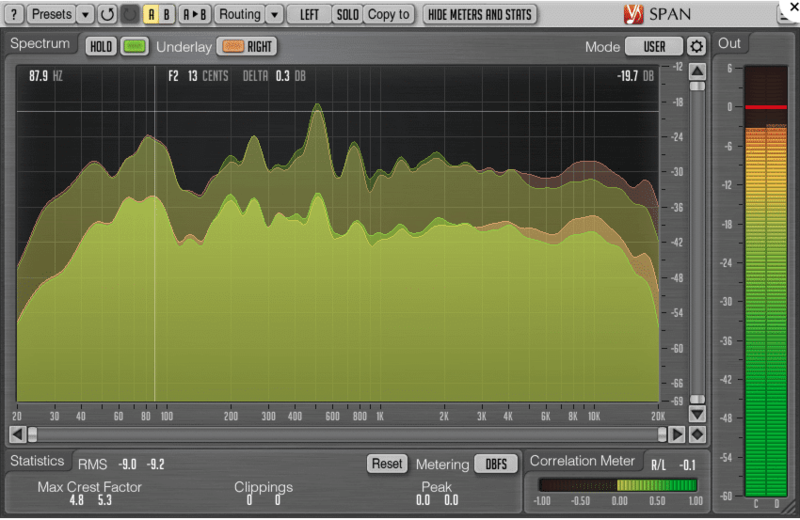 In some cases, we use EQ plugins to correct problem frequencies that may be sticking out in our mix. In others, we want to use them to help color our sound. The Luftikus EQ by LKJB falls into the latter category. It looks to model analog EQ units and give your tracks the flavor of running through that hardware. The plugin offers six bands of parametric EQ adjustment and an additional high frequency boost to help add air to your tracks. The Luftikus offers a few software switches as well. The ‘analog’ switch will make the EQ perform more like a hardware EQ unit would, adding analog flavor and response. The ‘mastering’ switch turns the EQ knobs into stepped knobs for easy recalling of settings and gives a better analog response when the analog switch is engaged. As a way to combat the added gain that comes as a result of adding this plugin, the ‘keep gain’ switch keeps the overall loudness around the same level. Control over output level is also available via a trim knob for fine tuning. This free plugin offers many features to help improve your mix. Mastering engineers and anyone looking for analog tone will be impressed by the versatility of this EQ, stepped knobs, and its ability to regulate output. Try the Luftikus EQ to tweak your mix. Stereo imaging tools are not always something that mix engineers consider. Many people see these as mastering tools, and to some degree they are. Familiarizing yourself with what these plugins can do for your mix is a good idea though. 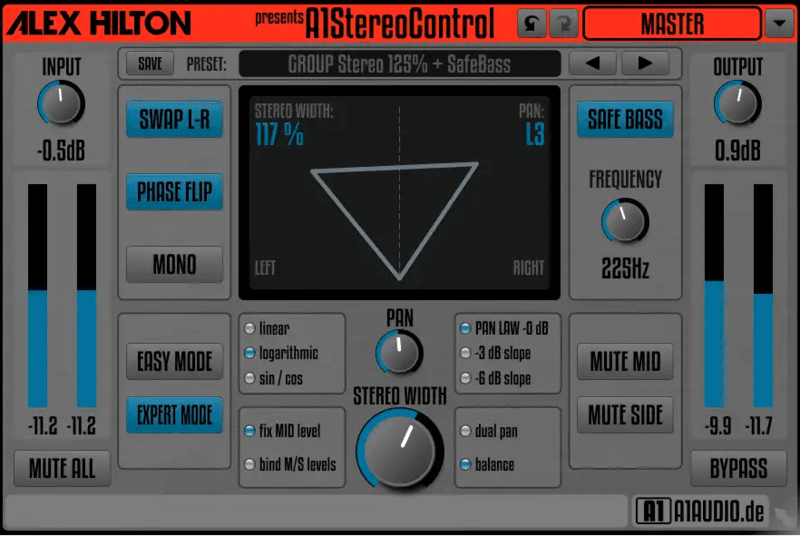 There are many free options for stereo imaging, but the Alex Hilton A1StereoControl provides exceptional amounts of settings and parameters to help improve your mix. The plugin has stereo width control which can enhance your mix’s stereo information, but convenient features including phase flipping, left/right channel swapping, and safe bass make this plugin shine. Stereo imaging plugins can be used on individual tracks, but the mix bus is really where they shine. Depending on the settings used, they can help separate different elements of a mix and build a large, convincing stereo space for the listener. Try experimenting with this plugin and start with small adjustments. The StereoControl could be the missing link in your mix. This collection of plugins is a great way to enter the world of third-party effects. This bundle includes plugins such as a spectrum analyzer, auto panner, comb filter, compressor, equalizer, flanger, and more. These plugins provide easy to use graphical interfaces and great sound quality as well as many utilities that aren’t always available for free. Some of these utilities may not be an everyday necessity for mixing, but having tools such as an oscilloscope and a noise generator can be useful from time to time. Try the Melda collection to fill out your collection of plugins and improve your mixes. The ability to check your mix on various playback systems is very important to perfecting your mix. Having different systems that you trust and know well can help you greatly, but having multiple systems within your DAW can provide even more helpful listening. This is what the Virtual Studio plugin does. Using headphones, the plugin simulates different playback systems to give you perspective of your mix. The plugin can provide stereo, 5.1, and more in different spaces that include concert halls and recording studios. Hear your mix in these spaces and give this plugin a try. Some of the most popular EQ’s to model are the Pultec EQ’s. The musical response of their curves has made them some of the most useful models available. 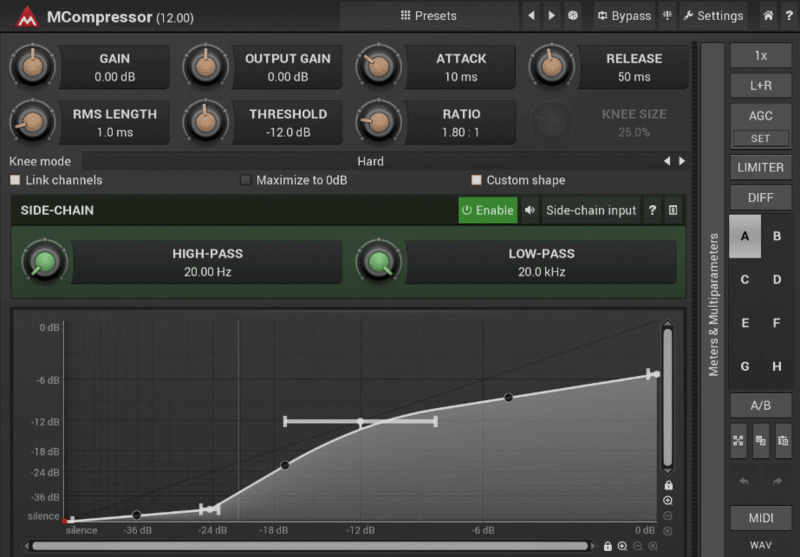 The Sonimus Son EQ pays tribute to the Pultec design, but as a free plugin. The SonEQ features a preamp stage that allows you to boost bass on the front end and color your sound. The ability to high or low pass your signal is also a nice feature to have when looking to shape your sound. The low end control acts much like a Pultec with both boost and attenuate knobs to find the musical response you need. The mid and high knobs are single knob controls, but they are supplemented by frequency selection controls. This EQ can give your mix analog character and the musical curve of vintage Pultec devices. This plugin gives engineers the benefits of 64 bit floating point processing and support of up to 192kHz sample rates. Try using this plugin to sweeten the tone of your tracks and give character to your mix. Mixing often require many tools and it’s easy to unnecessarily sink hundreds or thousands into ‘top-of-the-line plugins.’ Luckily, the tools mentioned above can solve many common issues quickly and for Free! Whether you need a good compressor, a good EQ, or a collection of utility plugins and are on a tight budget, don’t shy away for what’s already available for free.